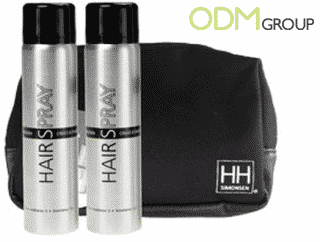 The Danish online-shop, Billigvoks.dk is now offering a branded toilet bag from the well-known Danish brand, HH Simonsen as a free gift with purchase when purchasing two hairsprays. The two hairsprays are designed in a limited travel edition, so they both fit into the limited toilet bag. Many people around the world are dealing with the problem that most hairsprays are too large to fit into their toilet bags. HH Simonsen have seen a place in the market to offer a limited edition free toilet bag with the purchase, so people can picture the product within it. Why use branded toilet bags? Branded toilet bags are great way to increase your brand awareness, while also being a great promotional product to create brand recognition as well. If you want to increase your sales, you should always focus your marketing campaign correctly. This means that it is very important to first of all define your target group. Secondly you then need to measure your campaigns specific to your targeted segment. Billigvoks.dk is a great example of this. 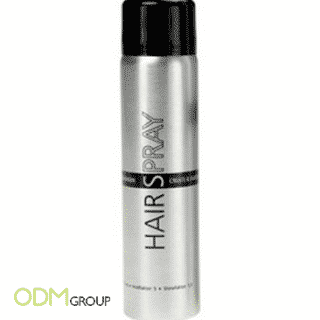 They are targeting hairspray users, with an extra free gift, which is particularly measured to them. ODM Group already have a lot of experiences in designing and manufacturing promotional gifts like this. Below are some other related products you can look at for more inspiration. Pretty Brilliant Marketing Ideas for Cosmetic Industry! Billigvoks.dk tilbyder nu alle kunder en gratis toilettaske når man køber to hårsprays. At give produkter gratis er en unik måde for din virksomhed for at øge opmærksomheden for dit brand.